Treat yourself with amazing views under water during this day trip! Explore corals, colorful fishes and beautiful beaches! 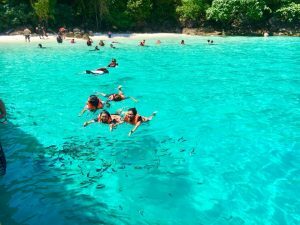 One of the most popular activities for visitors in Koh Chang is snorkeling! A real “must do” according to us. This activity should definitely be on your itinerary.